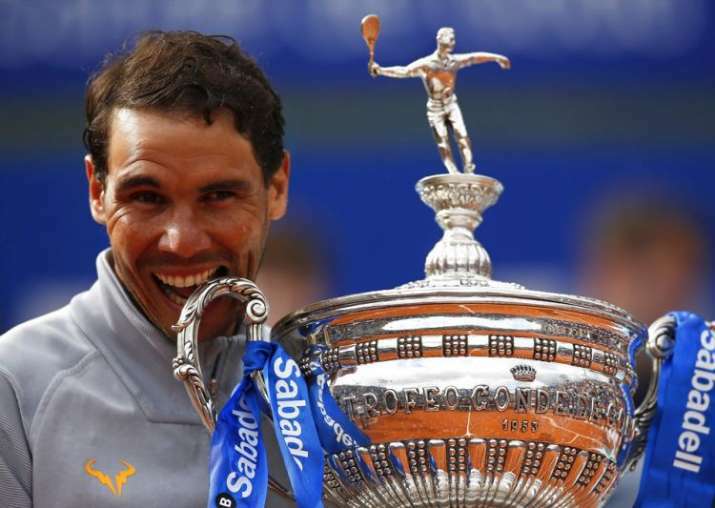 Rafael Nadal continues to make winning on clay look all too easy.​ Nadal extended his dominance on the surface with a 6-2, 6-1 win over 19-year-old Greek Stefanos Tsitsipas on Sunday to win his 11th Barcelona Open title. The top-ranked Spaniard has won 46 straight sets on clay, extending his own record. He hasn't lost on clay since facing Dominic Thiem in Rome last year. Nadal, who won his 400th match on clay in Saturday's semifinal, needed the victory in Barcelona to secure his No. 1 ranking. "It's hard for anybody to imagine all the feelings and emotions I have when I play here," Nadal said. "Hopefully I can keep coming back for many more years to come." "I've had two fantastic weeks but we were coming off difficult months because of the injuries," Nadal said.